People with neat, clean teeth who have a bright, attractive smile often take it for granted. But there’s a lot of people who don’t have a great smile or who are embarrassed about the way their teeth look. For people without a beautiful smile, life can be a little rougher. Hiding their teeth from others, being afraid to smile, and constantly worrying about what other people think about the way they look can cause anxiety, frustration, and feelings of low self-worth. Pompano Beach Dentist — Luck of the Draw? The fact of the matter is that some people are just lucky when it comes to their smile. Due to genetics, a focus on good oral health when they were growing up, or good nutrition when they were children, their teeth are naturally white, straight, and attractive. But for most people, that just isn’t the case. There are a lot of issues that can lead to unattractive teeth, including failure to brush and floss regularly when you were a child; too many sweets or overall poor nutrition, especially during the formative years of adolescence; or just unfortunate genetics. If your parents and grandparents had bad teeth, odds are you are going to inherit an unattractive smile along with their hair and eye color. The difference, however, is that it’s never too late to do something about the way your teeth look. 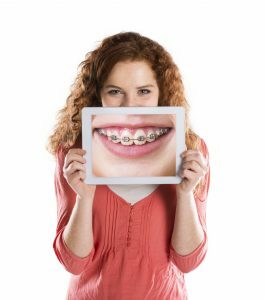 Even if you have hated your smile your entire life and go out of your way to hide your teeth whenever possible, thanks to modern dental techniques we can help transform your teeth so that you have a bright, beautiful smile that you can be proud to show off. When it comes to your oral health, it’s never too late to make a change. At McCosh Family Dentistry, we can give you the smile of your dreams.